November already! Wake up!! Where does the time go? Life is way too busy. Its easy to fall into the trap of being busy and forget sentimental traditions and feelings that go along with the season. 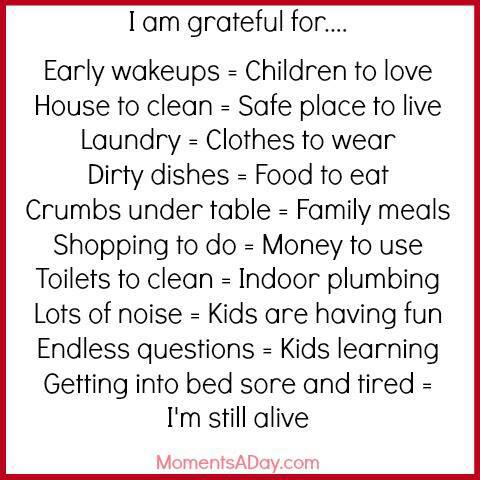 I have a lot work to do in this area and decided that I need to be intentional about me being truly thankful this holiday season. Don't get me wrong; I am generally appreciative of everyone and everything in my life. As the years go by it seems to me like another turkey dinner is way too easy to plan and cross off the list. I've been convicted that this is not the attitude that the Lord wants for anyone to have this season and honestly, in all of life. Recently a friend and I were discussing the mundaneness of life and how holidays feel way too routine. The cooking, the baking and decorating the shopping. What if we took the time daily to reach into the only instruction manual given to us in life (the Bible) for truth and encouragement? What if we made THIS the priority in our days? Would it spill into life? Would it affect how we interact with others and especially loved ones? Join me as I journal and take time daily to reflect on whole heartedly being thankful. 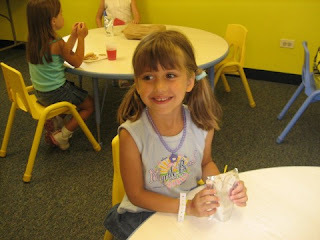 My sweet Emily just a few years ago. This time of year we moms get into survival mode. Springtime brings a flurry of activities and schedule jams. There are days when making a priority list goes out the window because of all of the unknowns that fall into our busy days! Weeks blur together, sleep goes by way to fast and we do things to just get by. I've talked to so many moms just this week who are wondering how they are going to make it until school is out! 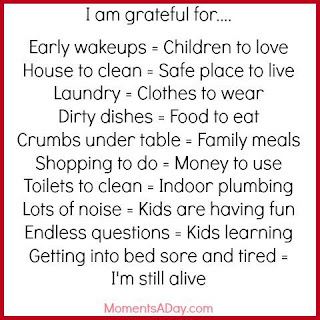 I recently came across this short list of ways for moms to look at life when it becomes unmanageable. This really puts my life in perspective. I get so bogged down with details that I turn tired and negative very quickly. May we all choose to look at our busy schedules as blessings rather than dreaded exhaustion! Chin up mom...you can do it! !